Russia’s Yota Devices Ltd and China’s OED Technologies high-tech companies have agreed to work together on a new smartphone with two displays, one of which will use electronic ink technology, Yota Devices' chief executive told Sputnik on Monday. HARBIN (Sputnik) — "The Chinese company OED will provide us with the second e-ink screen for the new generation of smartphones," Yota Devices' CEO Vladislav Martynov said. The agreement on developing the brand-new Yotaphone-3 was signed during the second Russian-Chinese Expo show in Harbin, the capital city of China’s northernmost Heilongjiang province. "This is a new stage of cooperation with our Chinese partners," Martynov announced. "Our company plans to work closer with the Chinese on developing new devices and use more China-made parts in our smartphones." The new smartphone is expected to hit the Russian market in the second quarter of 2016. 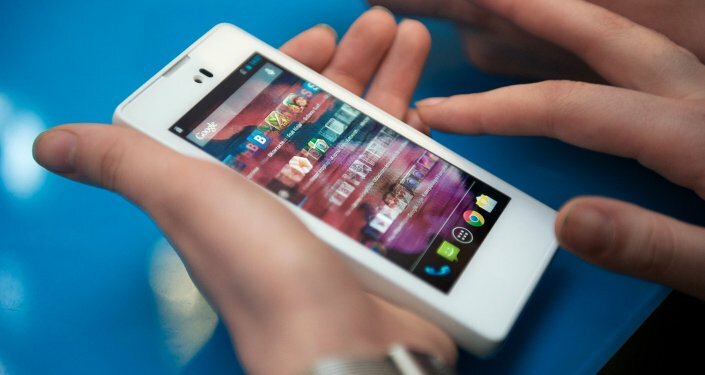 It will have an over-5-inch (over 12 centimeter) display and employ two SIM cards. Black-and-white e-paper displays are most commonly used in electronic books.